You know the job search I've been doing over the past month?! Well, IT'S OVER! 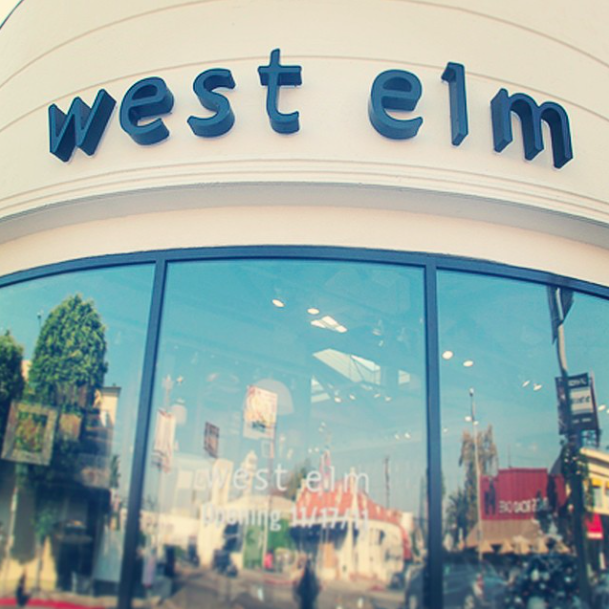 This week, I joined the team at west elm Los Angeles on Beverly Boulevard, and I couldn't be more excited! Training the past couple of days sent my brain into information overload, but, with all the learned knowledge comes increased competence and confidence. I feel blessed to have found (and started!) a job in such a short period of time and with a company that I've loved and followed for years. There are many reasons why I love west elm but two reasons in particular that really seal the deal: Handcrafted and west elm LOCAL. Through 2015, west elm has committed to pay $35 million directly to artisans who use handcraft techniques. By collaborating with over 20 artisan groups in 15 countries, west elm is directly impacting the lives of 4,500 artisans workers and 18,000 family members. The Handcrafted partners must share west elm's commitment to socially responsible practices. "We only work with people who provide safe, healthy working conditions for their employees, and whose businesses meet local laws, best industry practices and our company's standards. We strictly prohibit child labor, prison or forced labor, unsafe working conditions and unfair wage practices." You can read more about Handcrafted and read stories of the artisans here. In addition to working with artisans from other countries, west elm partners with makers and designers within the United States through west elm LOCAL. Each west elm store showcases a selection of regionally sourced pieces made by local artisans. Think of it as your neighborhood Etsy (whom west elm also partners with, by the way!). In addition to west elm LOCAL, many up-and-coming as well as nationally-acclaimed artists and designers are represented through our product selections. You can see all of these collaborations here. What do YOU love about west elm? Comment below, or come visit the store and tell me in person!